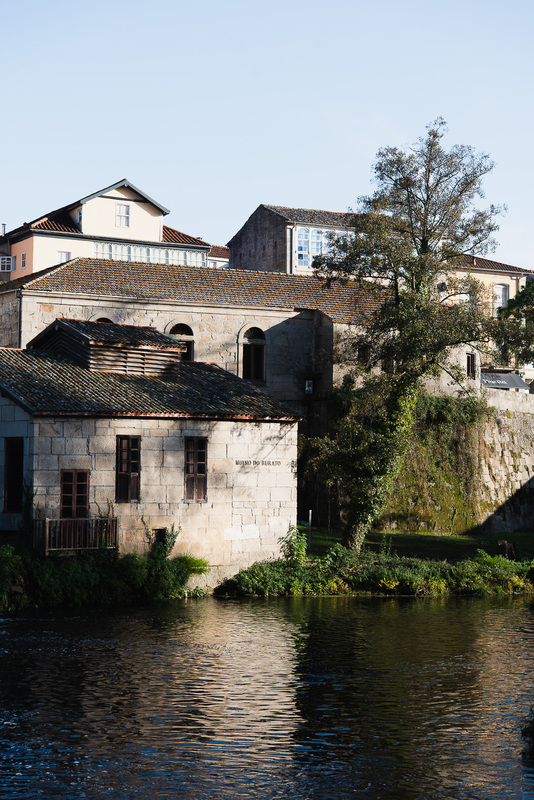 The Arnoia is a tributary of the Miño and the longest river that crosses the province of Ourense. It is born in the town hall of Vilar de Barrio and in its descent towards the Miño it crosses the municipality of Allariz from east to west. It is at this point where the Ethnographic Park of the River Arnoia is located. It is in the course of the Arnoia through the town of Allariz that the economic life of the town is born and settled. On its banks there are water mills, which transform grain into flour, as well as weaving and leather factories that settle on the riverside to take advantage of the force of the water. This led to the emergence of an important textile and bakery trade that supplies the entire region. “O Burato” mill. This is a hydraulic mill active until the 60’s in which took place the traditional “muiñadas”, which sang and danced throughout the day. Located in Praza do Matadoiro, since its rehabilitation in 1992, it offers visitors the chance to learn how a traditional grain mill works. 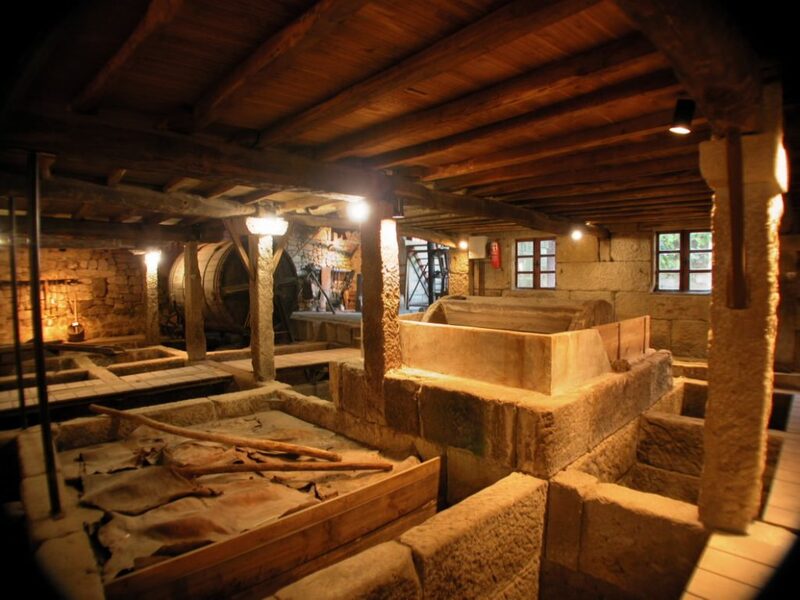 Museum of the fabric “O Fiadeiro”, located next to the mill, the visitor can know the process of elaboration of the garments of linen and wool. 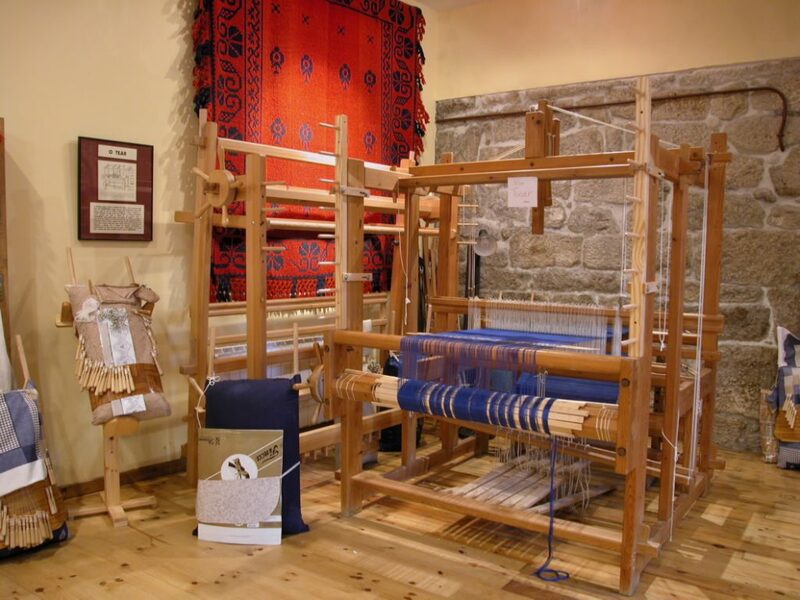 Linen weaving, and later leather weaving, constituted an important part of the industrial fabric of the area until the middle of the 20th century and was the germ of Galician folklore and cultural tradition. Leather Museum “Fábrica de Curtidos Familia Nogueiras”. It is located in a large 18th century building next to the banks of the Arnoia River. It contains the tools used in the trade and shows the visitor the process of tanning. It also houses leather craft workshops and classrooms where craft courses are organized. The village also has other interesting museums that visitors should know in their visit such as the Toy Museum, the Vicente Risco Foundation House-Museum, the Iconographic Museum “Aser Seara”; and the Museum of Sacred Art of Santa Clara. Allariz also has an important commercial area scattered among its streets.